One Girl Can is excited to be hosting their 5th annual IWANTtoBE event. Taking place on April 25th, this fast-paced, inspiring evening brings together a community of like-minded Vancouverites, all in the name of eradicating poverty and gender inequality in Africa through education. Tickets: Available online now for $125 per person. 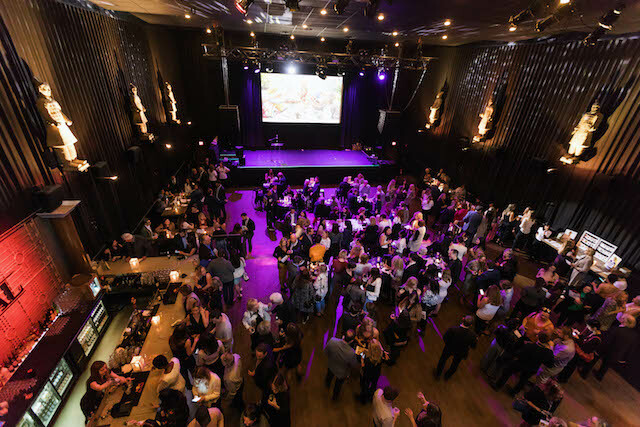 Last year’s event filled Vancouver’s Imperial Theatre with 400 local professionals and influencers who came together to raise $350,000 and, as a result, provided 180 scholarships to African girls to attend high school and university. The event, emceed by local TV personality Fiona Forbes and made possible by lead sponsors TD and Beedie, also features an enviable line up of silent and live auction items. With two incredible African safaris, local weekend getaways, restaurant vouchers and much more, guests will have plenty of opportunities to bid in support of girls’ education in Africa. Attendees will also receive a gift bag from AG Hair, valued at $85, and delicious drinks and food by Granville Island Catering. Follow One Girl Can on Instagram and Facebook to stay up to date with their activities in Kenya & Uganda! Thank you to event sponsors TD, Beedie, KPMG, Mirabel Vineyards, Odlum Brown, Great Little Box Company, Blubird, Clio, Deloitte, Univar, Contemporary Office Interiors, Hub International, Southern & Associates, iA Financial Group, AG Hair, Miss604, BC Living, LIVING magazine and Business In Vancouver for making this night possible. Miss604 is the proud Blog Sponsor of IWANTtoBE 2019.